I love dogs. I love our dogs more than some people would consider normal. I thought there was no such thing as owning too many dogs. I was wrong. Four is too many. But I am of the mind that dogs are family members, and we need to love them warts and all. Because the dogs will likely be the subjects of many of my stories, I should introduce them to you. 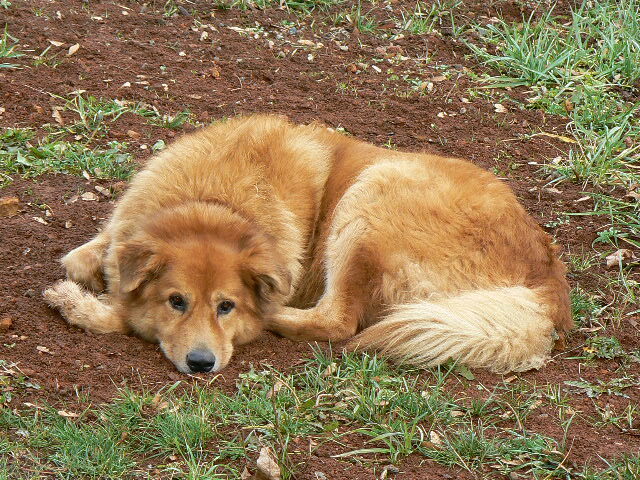 Loki is a 9 year old chow/retriever I got from the Oregon Humane Society when he was 3 months old. He, like I, grew up in the city and is used to a world of dog parks, leashes, and sitting outside with me at the neighborhood coffee shop or bar. He was easy as a puppy and has never been any trouble. Until now. He’s still trying to figure out how to be a mountain dog. One of his first stunts when we moved here was to take himself on a walk up the road to our non-dog loving neighbor’s property, where Loki proceeded to bark at the neighbor as he was trying to get out of his own house. Needless to say, that didn’t go over very well. 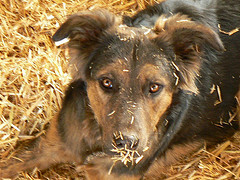 Jake is a 7 year old shepherd mix Jeff got from some folks who posted him on Craigslist after they had a baby. He’s accustomed to living in the woods, off leash, with lots of room to roam. And roam he does – Jake is an independent spirit who likes to explore the forest and will stay on the same rodent hole for hours if he thinks there’s something in there for him. He’s easygoing with people and other dogs, and I worry about him least of all. 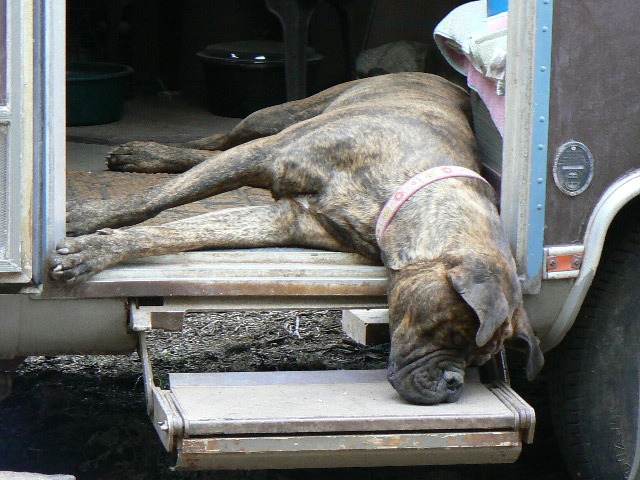 Mona is a 2 year old bullmastiff we found on Craigslist in the Portland suburbs when she was about 6 months old. She is quite the character. At 114 pounds, she has no idea how big she is. Her bark and appearance frighten most folks at first, but all it takes is a cookie and she rolls over on her back looking for a tummy rub. We sometimes refer to Mona as our “special needs” dog. She wets the bed, has skin problems, and will eat anything that looks even remotely edible. She’s also the most huggable dog I’ve ever known. 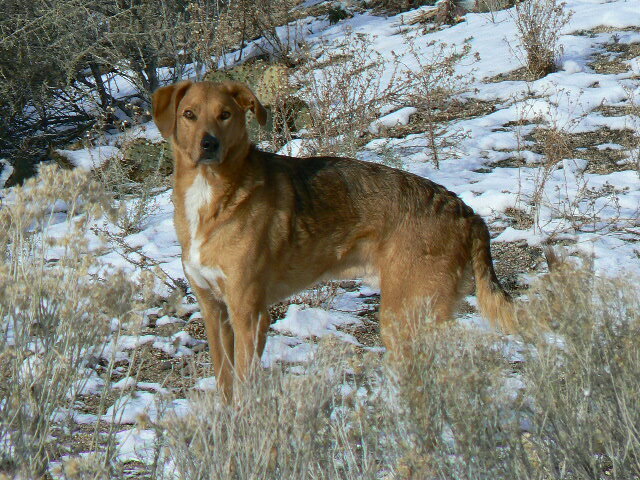 Eddy is a 2 year old shepherd mix we adopted from the shelter here in Taos a year ago, and I can tell he’s grateful to be here and loves his family. He’s very smart and also very intense. He’s become very protective of his people and home – so much so that I have taken him to a trainer a couple times so I can learn how to help him be a better greeter. These four make quite a motley crew. Their favorite sport is barking and charging at strangers, which to them means anyone they haven’t seen in the last 24 hours. As you can imagine, this has given them quite the reputation in the neighborhood. They also love chasing squirrels and coyotes, finding bones in the forest, and napping. Every morning at least two of them accompany me on my ritual morning walk, and its obvious they love living on the mountain as much as I do. ~ by Kate Mann on 21 June 2011.